Mircea Vlad was born on a parallel Earth that was in the process of being taken over by an all-powerful, evil cosmic entity known as the Great Mind, and where humans were progressively turning into creatures like the Great Mind's agent, Wampus. Mircea was the sister of journalist Jean Vlad, who was chosen by the Great Mind to become its emissary, and was transported to our Earth, where he became known as the Other, for the purpose of spreading chaos and infecting our world as well. The Other, however, was killed by its doppleganger, our Earth's Jean Vlad, under Ayers Rock in Australia. Before her world was finally consumed by the Great Mind, Mircea met and fell in love with our Earth's Jean Vlad, who freed her from the Great Mind's mental control. 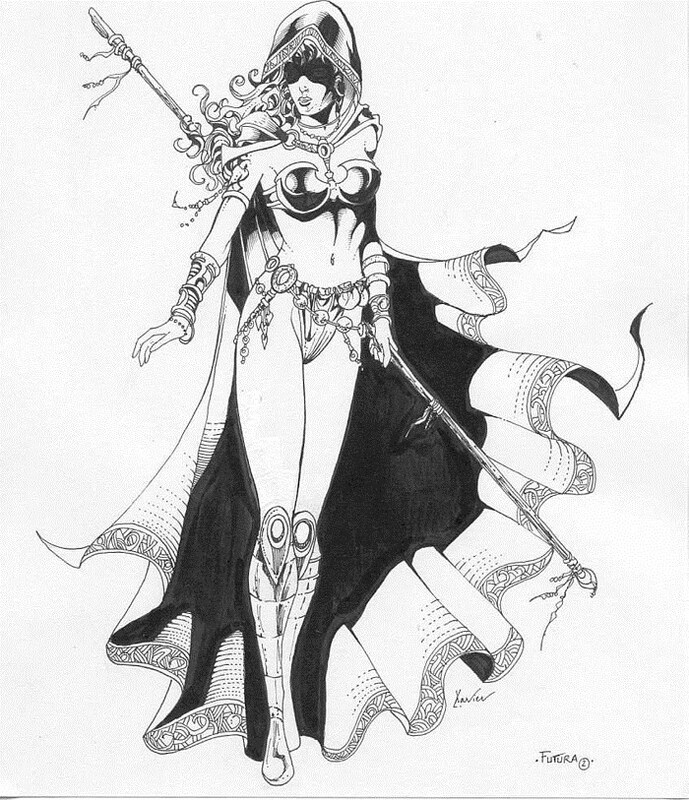 She then was rescued by an opposing and equally powerful cosmic force, known as the Universality, which transformed her into Futura. Mircea became a Servant of the Universality, and was dispatched to our Earth, where her brother had died, in order to protect it against future threats from the Great Mind. Before reaching Earth, Futura was drawn to Mû where, alongside Galaor, she fought Dhaarmanga and Mandina, two members of the Dark Trinity. On Earth, she was recruired by Jaleb to join the Strangers and eventually found the bones of her brother and met the Jean Vlad of our Earth. She helped free and recruit Jaydee who was, at the time, under S.P.I.D.E.R. 's control. 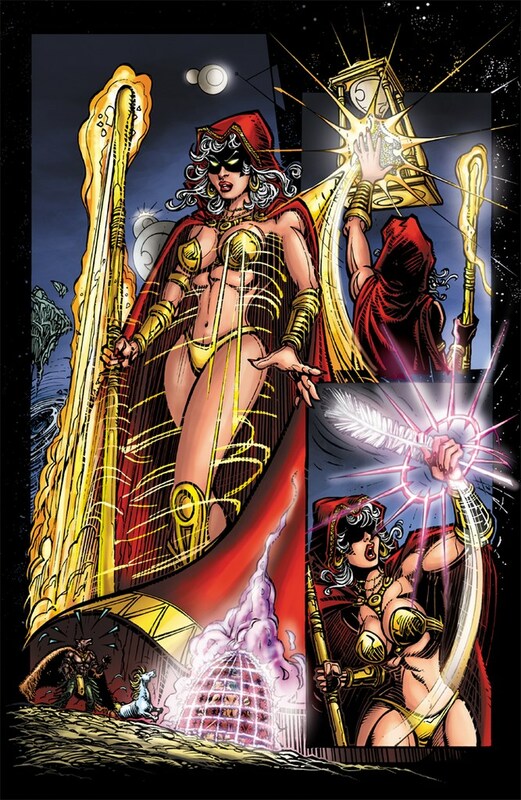 Later, again with Jaleb, she defeated Wathan, Virgin and Sinner, the Disciples of the Great Mind, recruited the Zorr-Ko, and fought alonside Ozark against the god Coyote. She was instrumental in the defeat of the Towers, then joined the Bronze Gladiator and other Strangers to go and free Jaleb who had become a prisoner of the Overmind. She alongside Morgane and Scarlet Lips fought the Demon Queen Mauve, then tried to prevent Salamandrite No.17 from bringing the Hemocrats to Earth. She eventually destroyed her foe, but was herself almost disintegrated in the process. 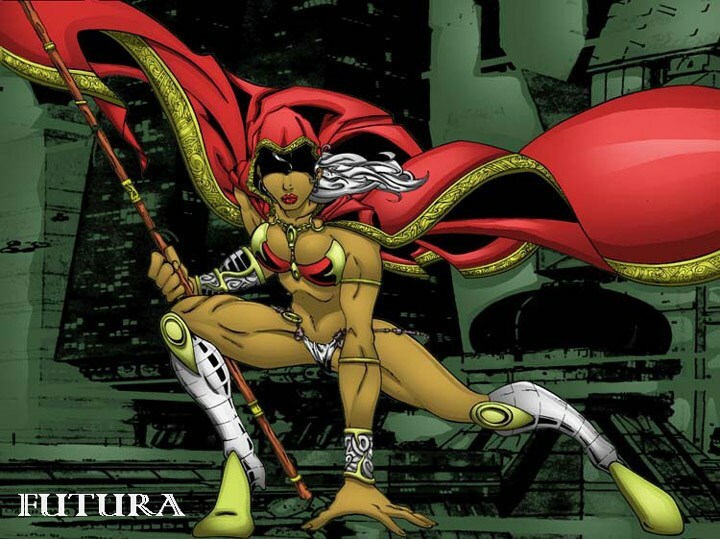 Futura is a metamorph with total control over her cellular structure at a molecular level, which enables her to alter her size, become intangible, modify the chemical composition or density of her body, project rays of bio-energy from her eyes and fingertips. In desperate situations, if her prayers to the Universality are answered, these powers can be magnified to achieve overwhelming results. Her eyes are uusually hidden under her cowl. Her present form is the result of an evolutionary process triggered by the Great Mind that began with a normal humanoid form, becoming increasingly alien as it gained in power. However, the process stopped in its intermediate phase before she became a wraith-like being like Wampus. Avalable for sale in our Shop.